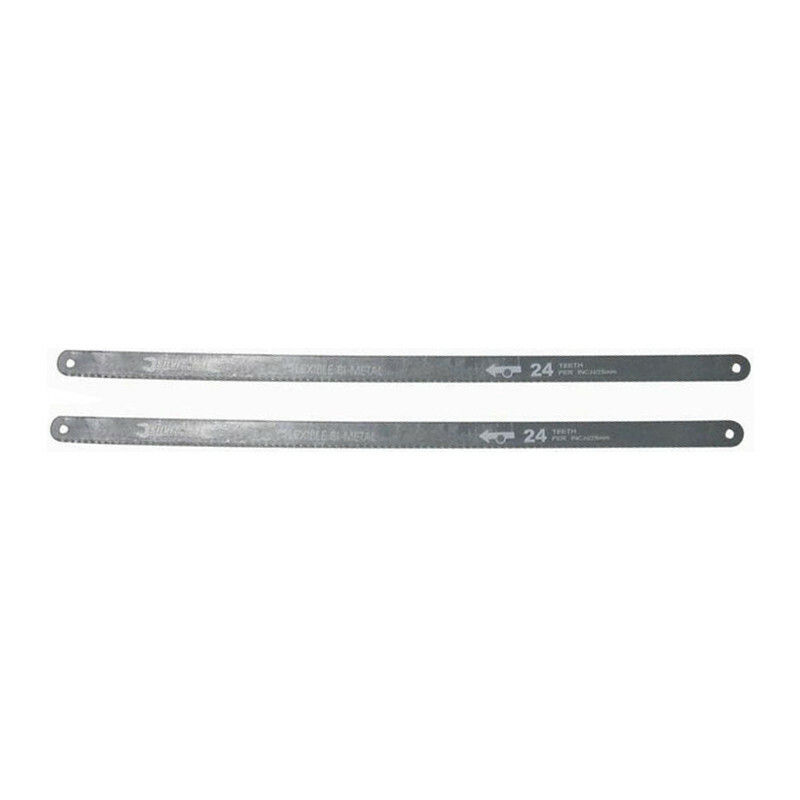 Bi Metal Hacksaw Blade 300mm - 24 TPI (2 Pack) is rated 4.9 out of 5 by 12. Rated 5 out of 5 by Random DIYer from Great teeth I ‘saw’ these and decided to ‘cut’ through the bull and order them! Rated 4 out of 5 by DIY Marti from Great buy Good quality budget hacksaw. Rated 5 out of 5 by Runic from Good Value. These are really good blades and are good value for money. I don't do a lot of sawing of metals, but these got through what I needed pretty quickly, in fact I still have one in the packet for later. I have no complaints with these and the price I paid for them.